I really do want to jinx it ... It is not even the honeymoon yet but we are dating and she does some cool stuff. As Billy Idol once said, "...more, more, more"
@fox197 no I have had only 3 rides. Not great rides... no fault of the ski. I have some idea what I am going to like when I get some quality rides. The second set on those settings was perhaps my best set so far this year. I am getting my head around this ski. @Horton sorry if I'm slow here, but are you saying the "super secret settings" are factory?... Did your ski not come on factory settings? @skidawg you let @dirt in your house and call me a rookie? @horton do you feel at all like with the factory settings the ski has a long turn radius? I felt like it didn't "snap around"
@Ilivetoski hmmmm the ski turns extremely well. 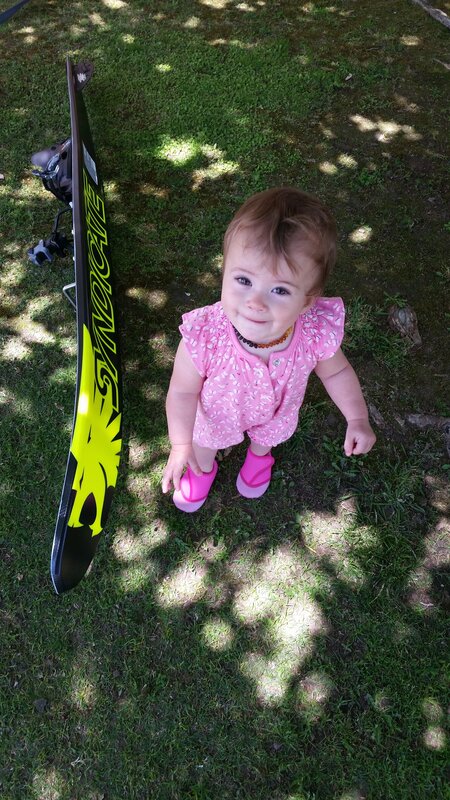 What size ski are you on? 66 my weight is about 145. I'm a little bit light but I was on a 66 vapor which had the same size range. The turns are extremely stable and a ton of angle but I just don't feel the ski whip around. That's what i "feel" though. @ilivetoski. A 36mph 39 off buddy off mine started on a 67 and told me he couldn't really get it to work so he downsized to a 66 and fireworks went off. I would say he's on the light side for a 67 so it was a good call too go shorter. @gginco before down sizing I want to try playing with the settings. @fox197 You need to ski both skis regardless of the review. @ozski Not much chance down my way of getting a chance to try both skis. I wish I could. I'm coming off of a A2 so really leaning towards the v. But there hasn't been much hype about it like the vapor and d3s. And ive had a run on the Vapor for 2 weeks and hated it with a passion. Couldn't get comfortable. I went from an A2 to an S2 to an A3. I thought each one was an improvement over the last. Plus, they were all skis I felt immediately comfortable on. I expect the V type will be even more refined. I'm not on an HO right now, but I'd like to get my hands on a V type. @Dano ? Disagree? Accidental disagree? Ooooooo boy best ride of year.... again. This thing is getting better. Might be a contender for MOASS. Ok I cant resist. @Horton What is MOASS?